Orthopedic braces can help your dog get back into the swing of things. If your best friend suffers from mobility trouble, orthopedic support braces may ease pain and get him back into routine activities. Braces are available for all sorts of canine support, depending on what part of his body is weak or unstable. He'll thank you for it, in his own way. For older dogs who now have trouble getting up from a prone position, a harness can make all the difference for the pooch and his person. The harness features a handle, so you can help lift your dog without straining your own back. The harness generally fits around the shoulder and hips. Some brands require the dog to lift a front foot in order to put it on. When researching harnesses, make sure that putting them on and taking them off do not require movements your dog has difficulty making. Some braces offer support while your dog is recovering from specific injuries. Ask your vet about the right type of brace for your dog's issue. A carpal brace helps prevent your dog from further stressing his leg while recuperating. It keeps him from overextending the carpal joint or otherwise causing further harm. Small breeds may require a carpal joint brace with a shoulder strap to avoid slippage. 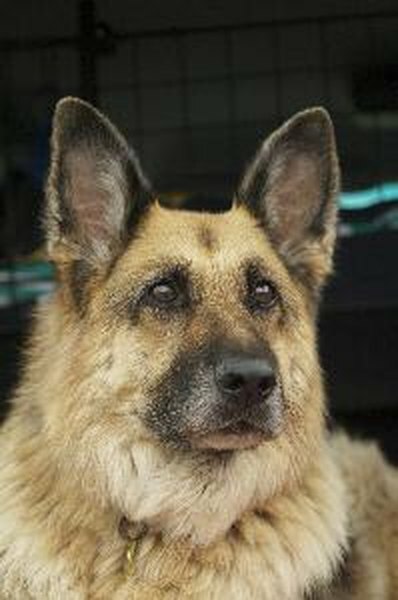 As your dog ages, arthritis is likely to set in. Maybe he can't take long walks with you anymore without limping. While the vet can prescribe medication to ease discomfort, hip braces give him support and may allow him to once again accompany you on adventures. This type of brace also aids dogs diagnosed with hip dysplasia. A common problem in many breeds, hip dysplasia can occur in a relatively young dog. A hip brace allows such dogs more mobility and a better quality of life. Other common braces include those for hocks, forearms, and wrists and knees. Most braces consist of mesh or nylon materials and are machine-washable. Quality varies; buy the best brace you can afford for your best friend. Durability saves you money in the long run. Go with veterinary recommendations. What Are the Causes of Nosebleeds in Dogs? Do Cats Tear Up Cushions?